America is well organized. Almost 90,000 county, city, township and special district governments establish policies and procedures for everything from plastic bags at the grocery store to fracking and beyond. And, the interplay between state and local governments on hot topics like data security, fair share, e-cigarettes, minimum wage, procurement changes, health care reform, chemical regulation and pharmaceutical waste makes it increasingly impossible to focus efforts only at the state capitol. Many state government relations professionals never face (or hope they never face) local government issues. And, that is an understandable sentiment. Unfortunately, it is becoming increasingly difficult to look past what is happening at the local level because the issues are, in many ways, state issues. And, they are influencing what we do in state capitols. When faced with the opportunity or need to create a multi-state or national local officials relationship strategy, there are a number of paths that can be taken. One could take the “go it alone” strategy and travel to each of the jurisdictions of interest to create a relationship with the local official of interest, although this would be a monumental task and an ineffective way to reach this goal. Another route would be to use the relationships of state and local lobbyists by working through them to their rolodex of local officials. But if you are looking for a more coordinated and practical effort, I recommend engaging the relevant local officials Groups. Let’s start with the three Groups with which we are all most familiar: National Association of Counties (NACo), National League of Cities (NLC) and U.S. Conference of Mayors (USCM). These Groups are big and their membership is increasing. This is especially true of NACo and NLC, where recent senior level staff changes have refocused the Groups’ efforts on many things including growing their membership. These policy Groups use member driven policy directives to advocate the federal government on behalf of their membership. In addition they address current issues, monitor trends and serve as an incubator for policy ideas. If relationships with local officials are what you are looking for, I challenge you to look beyond these three and into additional local Groups engagement opportunities. Looking beyond the three local policy Groups will increase the number of access points you have to local officials. The local officials involved in these Groups, especially within leadership, tend to be the more active, influential and vocal local officials. These are the 527 Groups of local officials. Each political party has had a local officials Group since McCain Feingold campaign finance reform split the 527 Groups from the national party organizations. And, in parallel with the movement of state issues onto local agendas, these Groups are experiencing a political renaissance. Community Leaders of America (CLA) represents Republican mayors and other local elected executives. Democratic Municipal Officials (DMO) is the national association of Democratic mayors, council members, and other municipal leaders. Each Group has state chapters, providing a vast network of relationships to tap into. There are 49 state municipal leagues – Hawaii does not have a state municipal league as Honolulu is the only city and it is governed by a consolidated city/county government – and 53 state associations of counties – 47 states have at least one state association and Arizona, Illinois, Washington and West Virginia have multiple. Each state league or association operates independently of the national Groups (NLC or NACo). Membership within the state leagues or associations are handled on an individual basis. If your objectives require a deeper dive into an individual state or a handful of states, consider joining the league or association within a particular state. Local officials also join constituency groups and affiliated organizations. These operate independently of but work collaboratively with NACo and NLC. Six Constituency Groups are associated with NACo and five are associated with NLC. Examples include the National Association of Black County Officials (NABCO), National Association of Hispanic County Officials (NAHCO) and their city counterparts National Black Caucus of Local Elected Officials (NBC-LEO) and Hispanic Elected Local Officials (HELO). Examples of the 25 affiliated associations that work with NACo include National Association for County Community & Economic Development (NACCED), National Association of County and City Health Officials (NACCHO) and National Association of County Collectors, Treasurers & Finance Officers (NACCTFO). 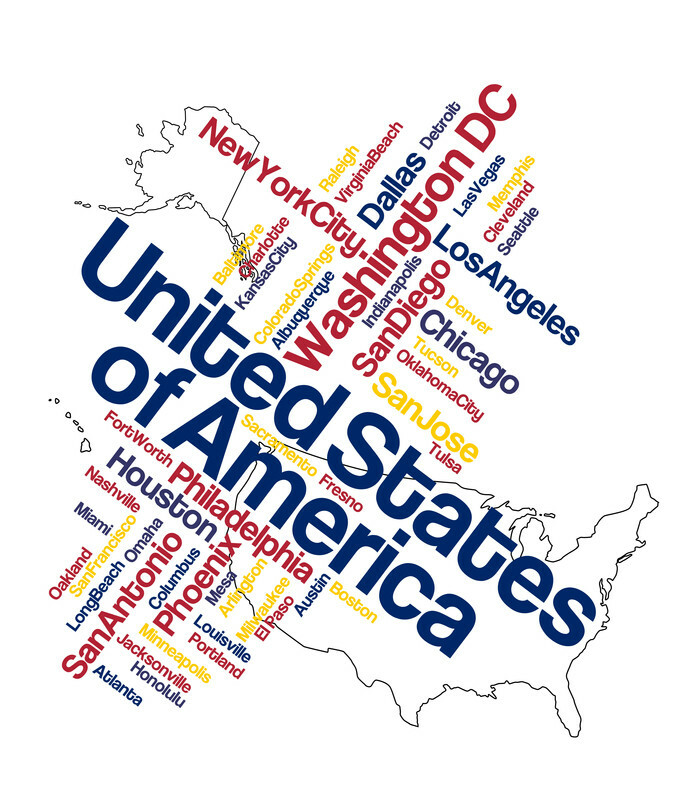 Membership in these Groups covers all 50 states. There is no question that expanding to incorporate local government Groups into a government relations program requires significant resource commitment. Being more aware of the array of organizations with which you can work may make decisions easier. But, the fact remains – state issues are now local issues and that is not likely to change. This morning, the National League of Cities (NLC) released its 28th annual City Fiscal Conditions report. The news is promising. The overall health of cities is improving. Seventy-two percent of city Chief Financial Officers surveyed reported that their cities are better able to meet financial needs in 2013 than in 2012. However, a number of factors, including the lack of progress on the federal budget and debt ceiling, continue to remain a threat. As NLC executive director Clarence Anthony said “Cities are stuck between the White House and Congress”. The improving health of our nation’s cities is a direct result of tough decisions being made by city officials. The health of city general funds suggests that revenues are picking up and ending balances have stopped declining. In order to get there, city officials have had to take action. Decisions to increase fees and cut personnel have been and continue to be made across the country. It is important to note that cities did not immediately feel the impact of the national recession. One of the largest major revenue sources is property taxes, which causes a natural lag between what is happening to the national economy and the time the effects of the economy impact the fiscal health of cities. Moving forward, cities are projected to see little growth. While the overall health of the cities is improving, many challenges still exist. Property tax revenue is still declining and cities are facing health and pension benefit liabilities and infrastructure demands. These issues, among others, are continuing to strain city budgets. 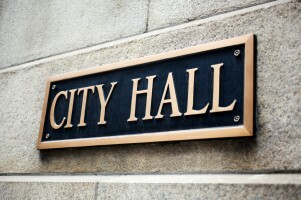 Unfortunately, the health of city fiscal conditions are impacted by the action taken by–or if things continue the way they are right now, the inaction of–Congress on issues such as municipal bonds and cuts to spending. Heather Williams works at Stateside Associates to help clients manage state and local government issues. As Vice President at the company she also manages client relationships with key Groups, including her “alma mater,” the Democratic Legislative Campaign Committee (DLCC), where she served as National Finance Director.